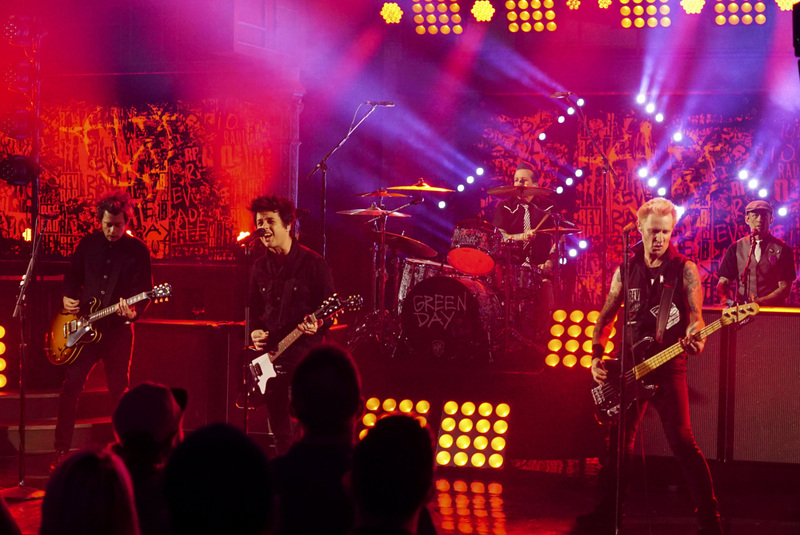 Green Day performed “Still Breathing” on CBS-TV’s The Late Show with Stephen Colbert on Tuesday, and video from the program is available. 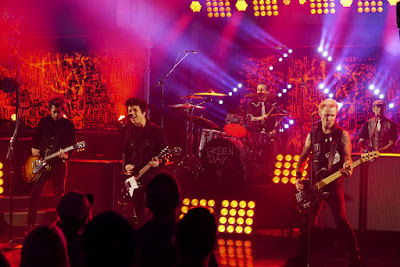 The tune has been described by frontman Billie Joe Armstrong as “a very heavy song. Sometimes I run away from being too heavy. But sometimes it just comes out that way." The chorus, "I'm still breathing on my own" alludes to the fact that "at some point, we're all going to have to be on life support," he added. "As time goes on, your thoughts get darker." Green Day are currently playing dates on a North American tour and will perform in Australia and New Zealand starting late next month.